Wedding is a sacred institution especially in India. It is celebrated with a lot of pomp and show and special attention is levied on the dresses of Bride, Groom and the other members of the family. Groom and Bride are the most looked upon people and they need to stand apart from the crowd. Here, in this write up we will focus on the wedding attire of the groom. To choose a wedding dress is not an easy task, every groom wishes to look the best on his wedding- day. Earlier, only traditional attires were worn but now with the changing trends grooms opt for designer wear. 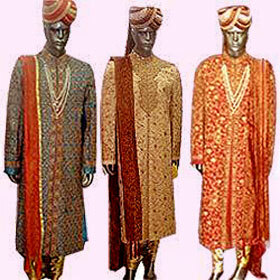 Some of the most popular choices are Sherwani, Jodhpuri Suit and Kurta- Pyjama. We offer you details about these options that will assist you in deciding your wedding day attire. Sherwani is a three piece dress that includes a long coat, a pyjama and a stole. The length of the coat is up till the knee. Normally, it is open from the front and is invested with ethnic embroidery. The pyjama is of a contrasting color, which further highlights the beauty of the dress. Stole is an important accessory that is teamed up with the coat and pyjama. It adds charm to the personality of a groom. Jodhpuri suit is also three piece attire which includes a coat, a shirt and a formal trouser. The coat of Jodhpuri suit is smaller in length as compared to that of Sherwani. It is very similar to a western coat. It is open from the front side with embroidery along the button line. The formal trouser is of the same color as the coat. A round collar top is also worn with it, either of the same color or a contrasting color. Kurta is long with slits on both the sides making it a very comfortable dress. Intricate embroidery is done on it that gives it a richer look. 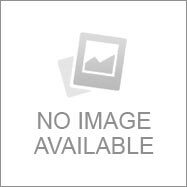 For pyjama, there is an option of either tight fitting or loose fitting. Stole can be worn with this attire as well, giving it a more ethnic look. Accessories like a turban' on the head and a pair of juthis as a footware add a stylish touch to the whole attire making it complete. It takes about one month's time for a wedding dress to get ready so manage accordingly. Always remember to chose colors that suit your skin tone. Also, shades and material of the dress are chosen according to the weather conditions. So, if you are a to-be groom then you must have attained a fair idea of the wedding attire and what will look best on you. Choose the best and look the best. India marriage are like festival. Very nice post. Nice Post. Indian Wedding clothes are famous all over world. Nice post. I think Indian marriage is most colorful than any other marriage. We are very conscious about our dresses and accessories.